The US, as a member of WTO, has no authority to judge whether another WTO member (China, for instance) is a market economy. On the other hand, no other WTO members are trying to grant or refuse the US market economy status. China’s request to the WTO for a ruling a year ago is a different issue: the implementation of article 15 of China’s Accession to WTO Protocol, not MES. China asked for the termination of surrogate country approach (SCA) on December 11 2016, 15 years after China’s accession to WTO. The SCA is a technical clause dealing with anti-dumping (AD) issues. According to Article 15 of the protocol of China’s Accession to the WTO on December 11 2001, in cases of anti-dumping, if the Chinese manufacturer of the product under AD investigation can prove that market conditions prevail in the whole process of production, including materials acquisition, design, manufacturing, logistics, and sales, then the relevant data it forwards for the case can be used as the base for investigation. If not, the data of a surrogate country can be used. In any event, after 15 years, as from December 11, 2016, the SCA must be ended. Article 15 clearly shows that, this article refers to the market conditions only at the enterprise and product level, or micro-economic level, and nothing to do with the macro-economy of China, whether it be a market or non-market economy. In other words, the termination of SCA does not mean, and does not need an automatic recognition of China’s MES by other WTO members. In Chinese AD cases against US products, the data forwarded by the US manufacturer is used as the base, with no surrogate country data used. However, China has not recognized the US as a market economy either. No WTO or GATT clause stipulates the recognition of market economy status. WTO rules are based on market economy conditions. It is impossible to imagine that a planned economy could join the WTO. The status of a member’s WTO rules-compliance is made by WTO Council Reviews. In the past 15 years, China has passed all the WTO reviews with positive observations. The US, as a member of WTO, has no authority to judge whether another WTO member (China, for instance) is a market economy. On the other hand, no other WTO members are trying to grant or refuse the US market economy status. 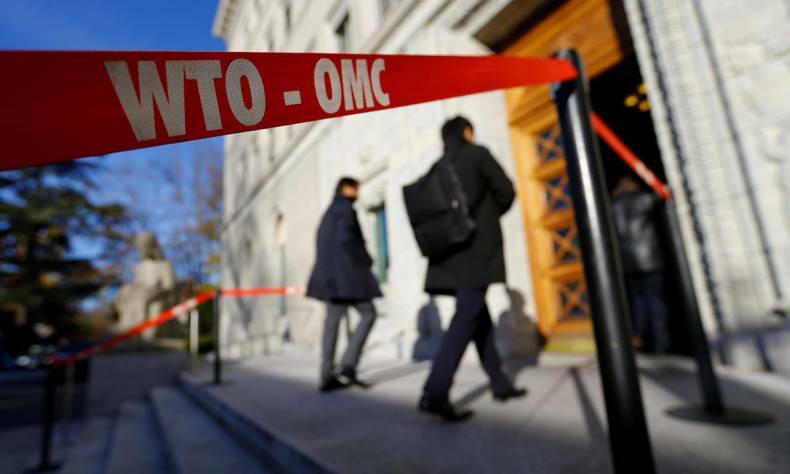 The WTO and GATT rules system does not contain any standards for market economy status. Their rules system governs trade behavior, trade disputes, and AD practices among WTO members. China follows a socialist market economy path, and is energetically driving deeper all-round reform to allow the market to play a decisive role in the allocation of resources. China, not the US, should be the one to judge if we are a market economy. The USDOC statement listed 6 factors supporting its contention that China is not a market economy. However, these are only standards set by US domestic law, not by the WTO, and thus they do not apply to China. Interestingly, all 6 factors are supported by nothing more than abstract concepts and subjective reasoning, describing the Chinese economic system rather than providing convincing facts and figures. While claiming that the Chinese government exerts strong control over resources, the statement conveniently ignores the fact that the French and Singaporean governments also exert strong control over their resources. The ownership structure itself does not mean any WTO-non compliant competition. The USDOC also criticizes government subsidies in China. They have, however, ignored the fact that there are numerous subsidies and incentives in the US, especially in land acquisition, property prices, power supply, seed money, and bridge money for starting companies, or for companies in less developed areas. You can find plenty of subsidies in the official websites of the US Energy Department and almost all the state governments. The WTO dispute settlement mechanism (DSM) listed all the 530 cases forwarded by its members by November 20, 2017. Of this total, the US is by far the largest respondent, accounting for 130, far ahead of China (39 cases). Many of the complaints against the US relate to unfair subsidies. The US would be well advised to look at its own trade subsidies and market conditions, before casting aspersions on China. Since the termination of China’s surrogate country status has nothing to do with market economy status, as elaborated above, the only explanation for the irrelevant USDOC statement is that it is intended to serve as a means of restricting imports from China. In continuously using the SCA, the USDOC could easily take another country with a much higher actual cost in determining if a Chinese company is dumping its products in the US. As long as there has been a fast import increase from China which the USDOC wants to hinder, it can easily use AD and counter vailing CV measures, based on non-actual cost calculations. Statistics have shown that since the start of 2017, the number of trade restriction measures taken by the Trump Administration has almost doubled compared with the same period of 2016. The USDOC statement is just a part of the “American First” policy to protect American business at the expense of its trading partners. China rejects the statement and will stick to its legal suit to the WTO, demanding an unconditional termination of SCA as from December 11, 2016. If the USDOC imposes any restrictions on Chinese exports to the US that are not WTO-compliant, China will naturally retaliate against imports from the US, ending in a lose-lose outcome that benefits nobody.